Virtual Images is the historical incubator for lenticular printing innovation and production prowess. As the lenticular and specialty print arm of Travel Tags, Virtual Images benefits from its Southern California location, it’s global sales team and its direct affiliation to the world-class production facilities of Travel Tags. Whether you're looking to purchase a complex injection molded lenticular cup, a stunning 3D movie poster, or eye-catching lenticular shelf dangler/POP display, the Virtual Images design staff can provide a depth of technical and creative expertise that helps marketers, publishers and advertising agencies break through the clutter to engage consumers and build their brands. 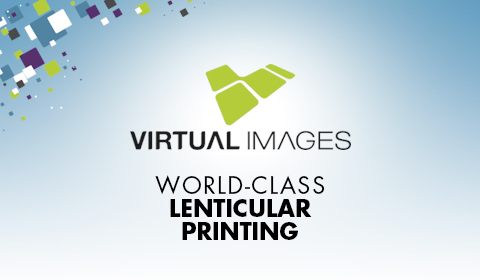 For more on Virtual Images lenticular and specialty printing, visit their website.